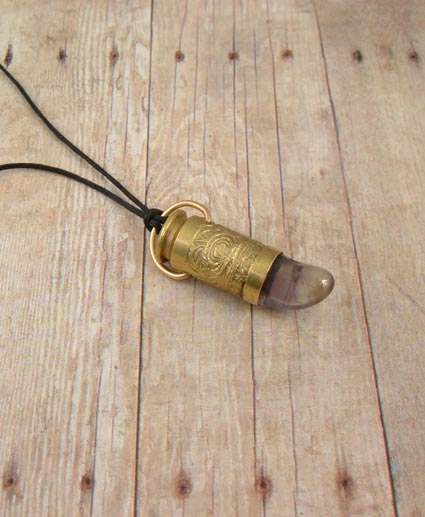 Bullet Pendant Necklace "Purple Haze"
"Purple Haze" This unique Bullet Pendant Necklace is made with a recycled, spent .40 caliber bullet shell. 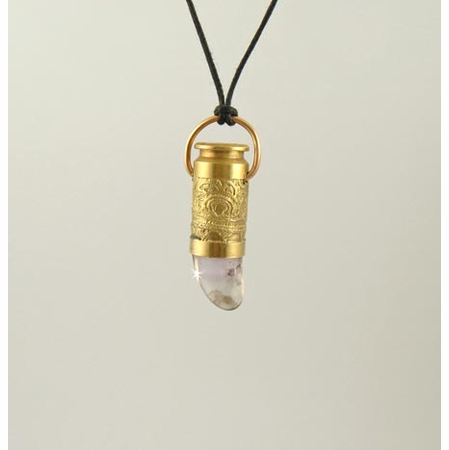 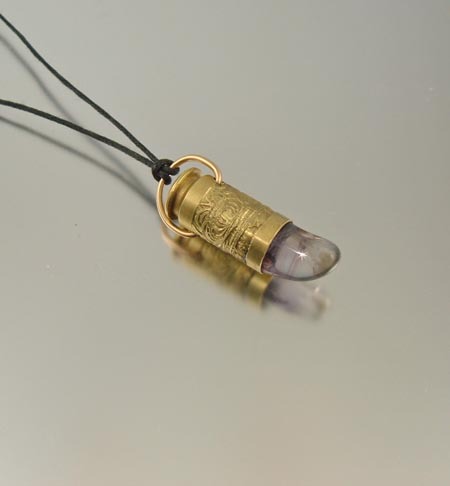 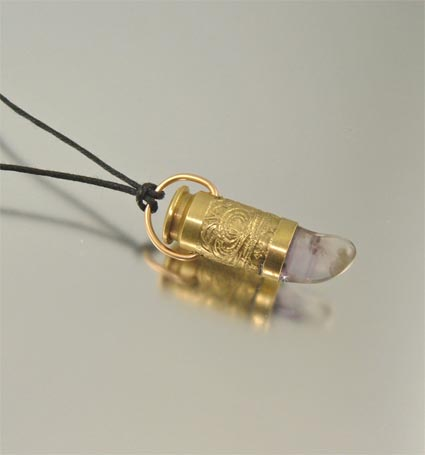 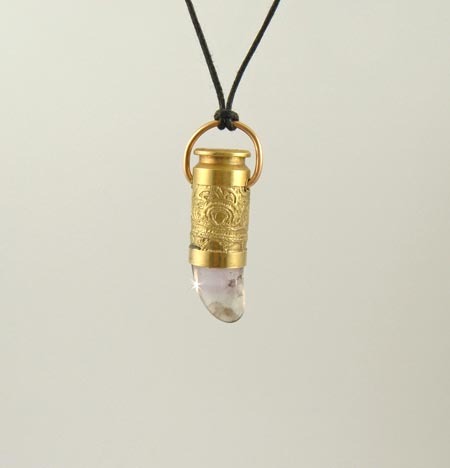 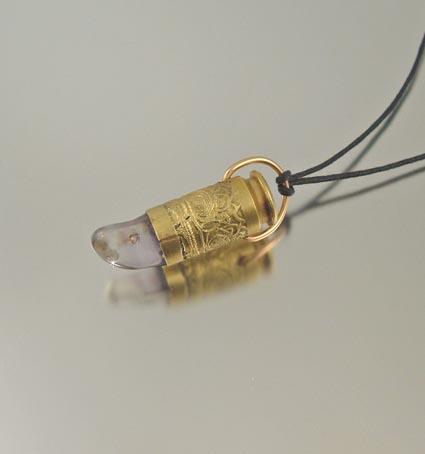 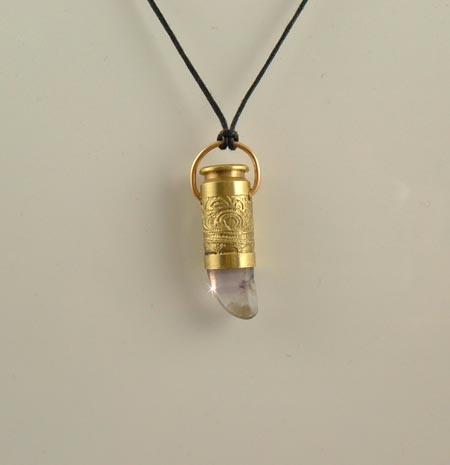 It contains a natural polished Amethyst stone, light in color. 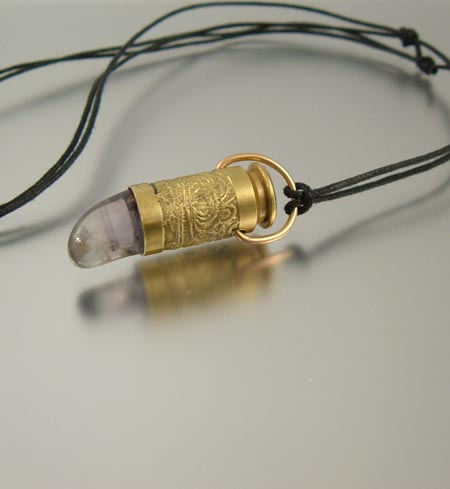 Adjustable black linen cord, adjusts to 30"